Shrubs provide much-needed color and shade to your home’s landscaping. While many varieties are hardy enough to thrive in arid conditions, they still need periodic shrub care to prevent disease and insect infestations. Here’s what you need to know to keep your yard looking its best year-round. Dead stems tend to attract insects, which can increase the risk of disease. If the stems are mushy or brittle, it’s a sign that they are dead. 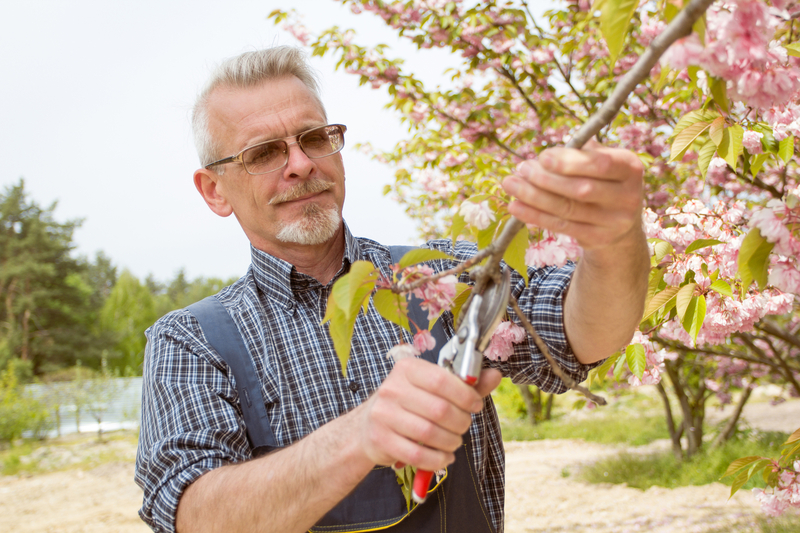 Trim them off with pruning shears as soon as possible to prevent the issue from spreading and promote healthy growth for the rest of the plant. Different shrub varieties produce flowers throughout the year, so shrub care is a routine task. Any varieties in your yard that flower should be pruned after the bloom cycle is complete—spring shrubs should be trimmed by late spring, while those that bud in the summer and fall should be cut back before the next growth cycle in the early spring. Any plants that grow quickly or bloom year-round can be trimmed as needed. During your shrubs’ first season, them once a week. Put the nozzle of the garden hose on the ground for about 10 minutes. This will help the shrub’s roots get the most moisture. Plan to water early in the morning or in the evening when temperatures are cooler, so the water is absorbed before it evaporates in the heat of the day. Just like other plants, shrubs are susceptible to weeds and pests. Weeds can prevent your shrubs from getting adequate nutrients from the soil while pests like grasshoppers and caterpillars can eat the leaves and interfere with nutrient production via sunlight. If you are worried about these hazards in your yard, consult a pest control expert to develop an outdoor care plan. The professionals at Taylor's Weed & Pest Control in Hobbs, NM, have over 40 years of experience in landscaping and pest control, making them the area’s choice for shrub care. From removing pests to pruning your plants, they can help make your yard look beautiful throughout the year. To set up a consultation, call (575) 492-9247 and visit their website for more service information.